I have lived in Nashville for the last nine years. I came to Nashville after college and I have worked in education for the past twelve years. I worked in the private sector through college and when I came to Nashville I first worked as a classroom teacher, then transitioned to an office administrator and ended up in school leadership. Eight years ago when I had my daughter, I was working in the private sector. Although students there were receiving a great education, the one thing I thought it lacked was diversity. There were no people at that time at my school that looked like me or my daughter. That was a huge issue for me in deciding where I ultimately would want my daughter to go to school. I knew that one of my goals in being an educator was to be on the home front when she was going through her educational process. Being at the same school she was going to was very important to me at the time. So that is why I made the transition out of the private sector into the public sector, along with the fact that I wanted to see more kids who needed a great education getting one and not just the kids who had parents that could afford to buy them a specialty education. While working at a private school, I noticed that they had a huge drive to excel academically, but one of the things that set them apart was that their parents were paying for their education. Because of that, there was a huge amount of investment, the parents were on site every day, the parents were often well educated themselves and often times demanded a lot from the school. So when I first came into public schools as a teacher, even at public charter school where parents were choosing their child’s school, a lot of them weren’t necessarily willing or able to connect with me directly as a teacher. I can’t say any of them really asked the questions that would drive a better education in the classroom. When I made the transition from being in the classroom to being in administration, my push was definitely how do I get parents more involved, asking the right questions, getting in the building, and holding the school system accountable for the education that their child was receiving? Throughout my life, the most important thing has always been progress. I went to a Memphis city school where there was a lot of poverty and my parents were not college educated. My brother, sister, and I were the first generation to go to and complete college. Even with the educational backing of my parents it was hard to figure out my next steps. I had to (A), find out what I was going to do with my life, and (B), find the opportunities that would provide me the avenues to success. That is the very reason why I decided to join Nashville Rise. I wanted to be a part of an organization that was designed to lead parents to becoming more invested in their children’s education, then as a result, inspire community-wide progression. I wanted to empower parents, encourage them to engage and inform them that they don’t have to be a Harvard graduate or even a high school graduate to love and care for their children, all they needed was to find their voice and elevate it to advocate not only for their child but for all children across Nashville. As a result, the main thing I have gained because of being a part of Nashville Rise is access to useful information. I take that information into schools I’ve never been to before and talk to parents I’ve never met to get direct and immediate change for the communities that need it most. 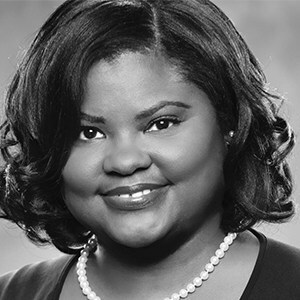 Kimberly Robinson serves as the Treasurer on the Nashville Rise Board of Directors. She earned a Bachelor of Arts degree from the University of Memphis in Education. She has twelve years of experience in education serving in a variety of sectors and roles (teacher, community advocate, school administrator, etc.). She has worked to create programs that directly enrich children and their families, as well as promote community-wide progression. Education is important to Kimberly because she realizes that education can spell the difference between mediocrity and excellence. She hopes to create lasting partnerships between parents, schools, and community members that could strengthen an innumerable amount of children.